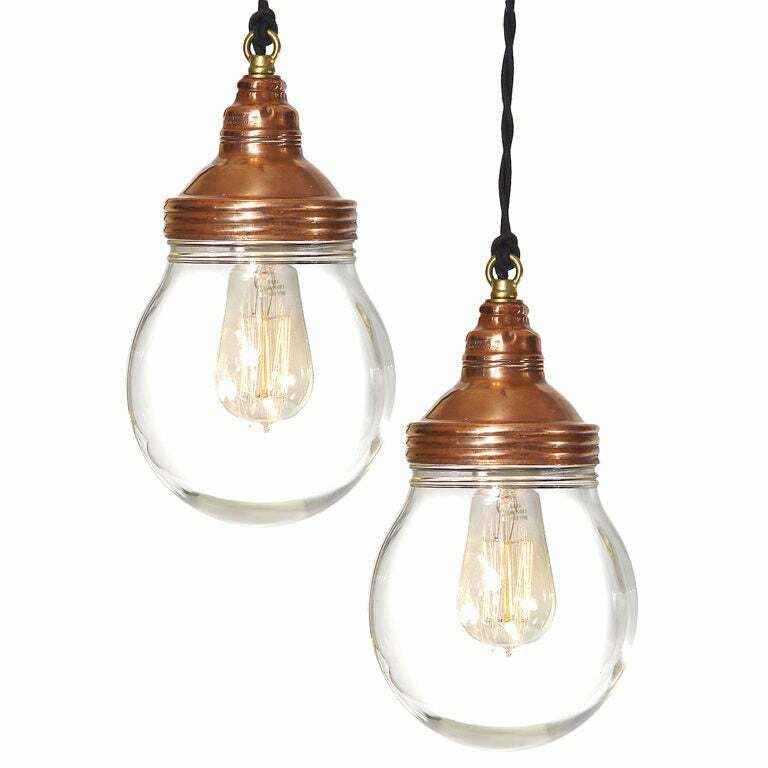 Benjamin Copper Explosion Proof Lamps - Matching pair. 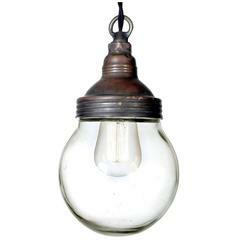 This Benjamin pendent light is sought after among those that collect and trade industrial lighting. It's elegant simplicity and quality explosion proof construction have just the right look. 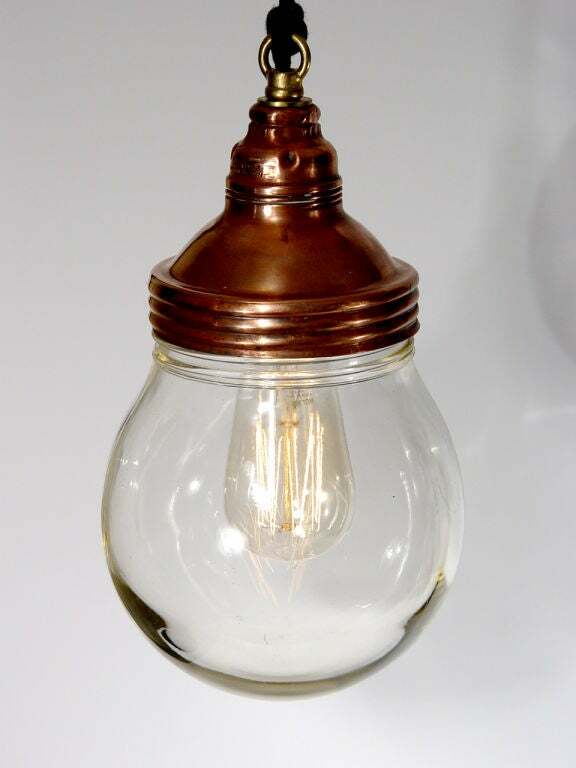 There are a few versions of this lamp but the examples pictured above with the copper screw in top and extra thick 6" glass globe lens are one of my favorites. Here are a perfect matching pair wired and ready to go. 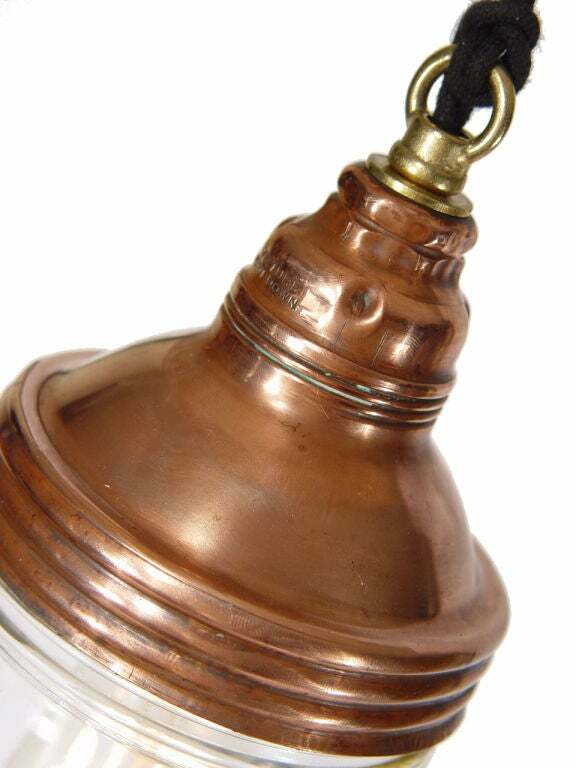 The lamps can hang as a pendent or be flush mounted. $950 for the pair. These are a nice matching pair of heavy cast Benjamin explosion proof sconces. They are original and complete with the screw in glass shade and outer cage. Grey heavy duty industrial lamp with massive protective glass bulb. Cast aluminium body, clear glass. Porcelain socket for E27 Bulbs. Newly wired. Weight: 5.5 kg. 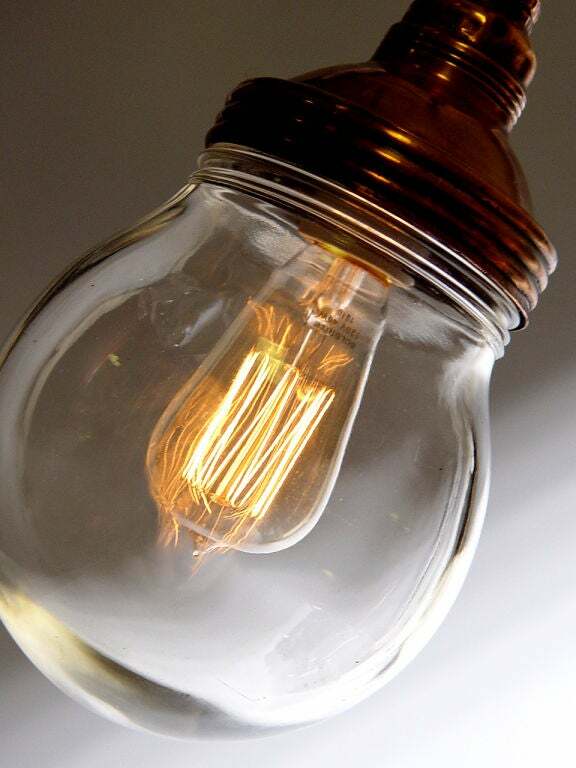 Grey heavy duty industrial lamp with massive protective glass bulb. Grey aluminium body, clear glass. Porcelain socket for E27 Bulbs. Newly wired. Weight 7.5 kg. Grey heavy industrial lamp with massive protective glass bulb. Cast aluminium body, clear glass. Black enamelled shade. Porcelain Socket for E27 bulbs. Newly wired. Weight: 6.0 kg. Grey heavy industrial lamp with massive protective glass bulb. Grey aluminium body, clear glass. Black enameled shade. Porcelain Socket for E27 Bulbs. Newly wired. Weight: 8.0 kg.